GEO my WP's Extensions page displays all the available extensions provided by GEO my WP; The core extensions that are built-in GEO my WP, as well as the premium extensions that you can purchase from GEO my WP extensions store. For the core extension and for the premium extensions that you might have purchased, you will see the "Activate" button that you can use to activate/deactivate the extension. Otherwise, you will see a "Get Extension" button that will send you to the premium extension's page for details and purchase. Once a premium extension is enabled and requires a license key, you will see the license key input box in the extension's box and the "Activate License" button which you can use to activate/deactivate the license key. GEO my WP retrieve the list of the premium extensions remotely from GEO my WP and saves it in its internal cache to improve performance. It happens and the extensions do not load properly on the page, you can use the "Clear extensions cache" button to clear the cache and GEO my WP will retrieve the extension again. 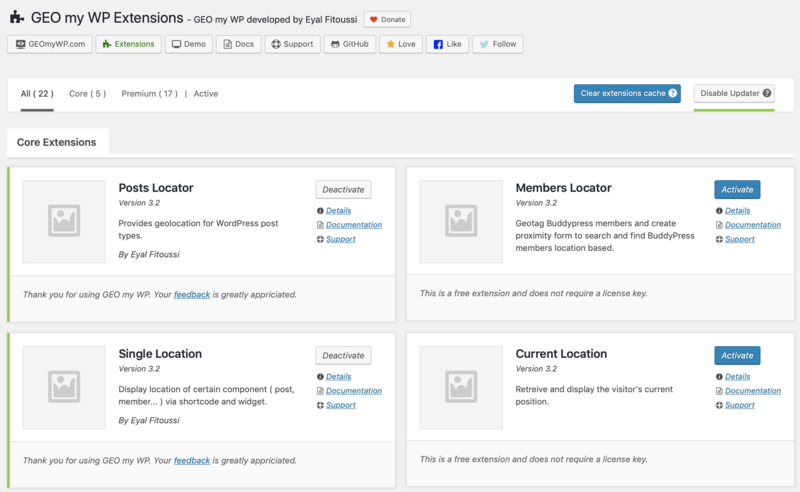 When GEO my WP checks for new versions of its premium extensions, it needs to remotely connect to GEO my WP server. 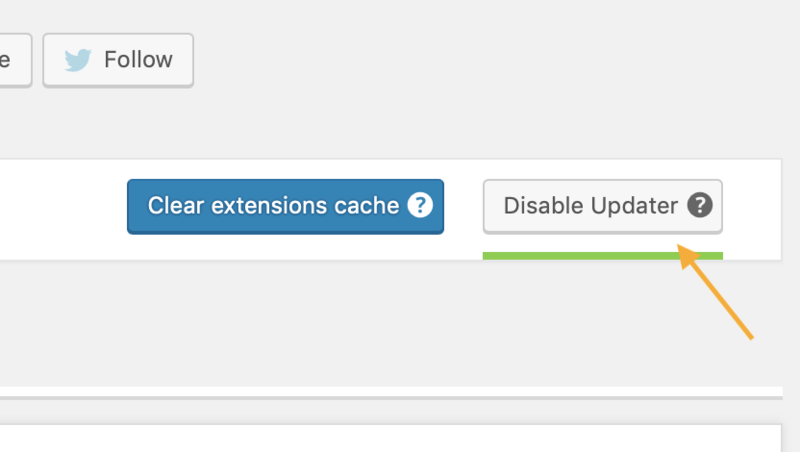 This might slow down the Extensions and Plugins page load ( this only affects the back-end of the site ). Using the "Disable Updater" button you can temporary disable the updater and prevent GEO my WP from checking for new updates.